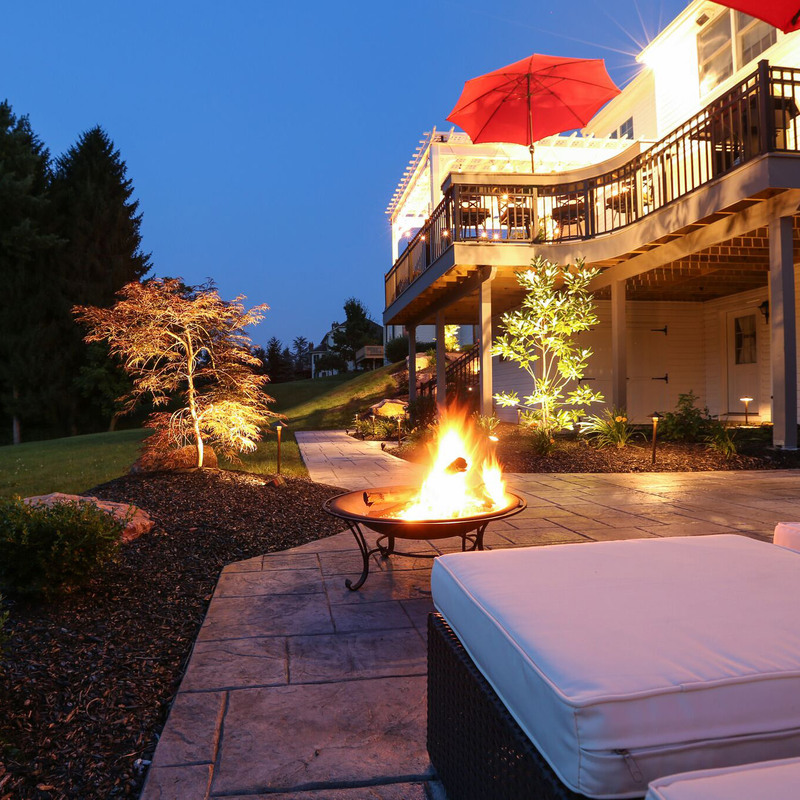 Outdoor Fireplaces are Perfect for Year-Round Use! Are you listening to the weather forecasters that say we are going to have an extended summer because of the “Gorilla El Niño” this year? Perhaps you are taking stock in the Farmer’s Almanac that says this winter will arrive swiftly and trump the winter we had last year. Who do you believe? Will you have a prolonged summer season or will it be cut short due to Mother Nature rearing her cold shoulder? No matter that the future weather patterns may bring, there are still ways to enjoy the outdoors when the weather starts to transition and even when the snow is falling, oh so beautifully, out of the sky. 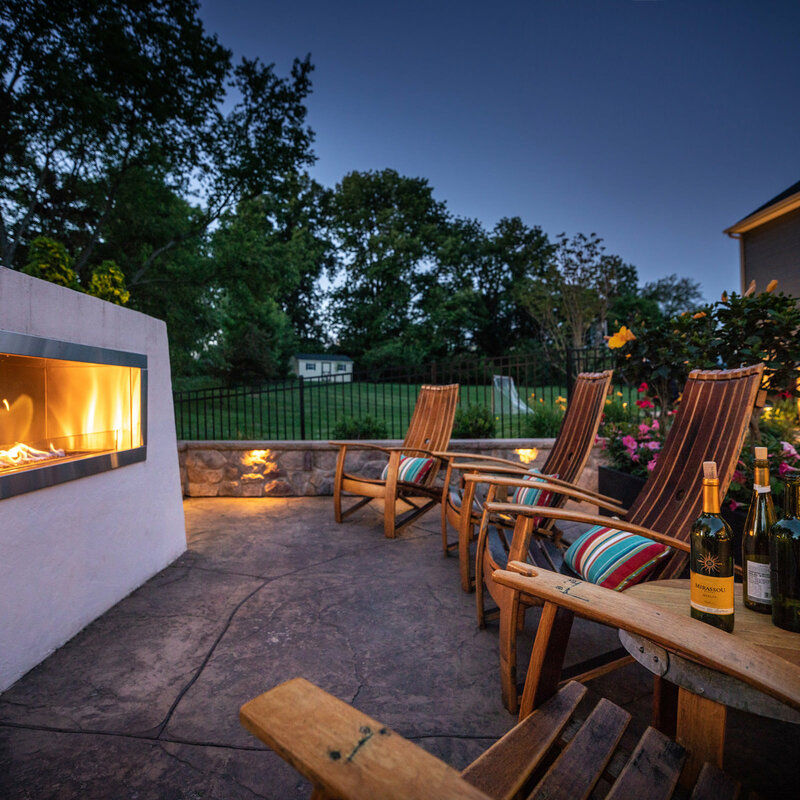 Having an outdoor fireplace is an excellent feature for year-round use and enjoyment! Outdoor fireplaces can be used in cooler months to take the chill out of your bones while you watch the leaves fall, in the summer to warm you up after an all-day swimming session or in the winter so you can sip hot chocolate while cozying up with your loved ones after an afternoon of sledding. 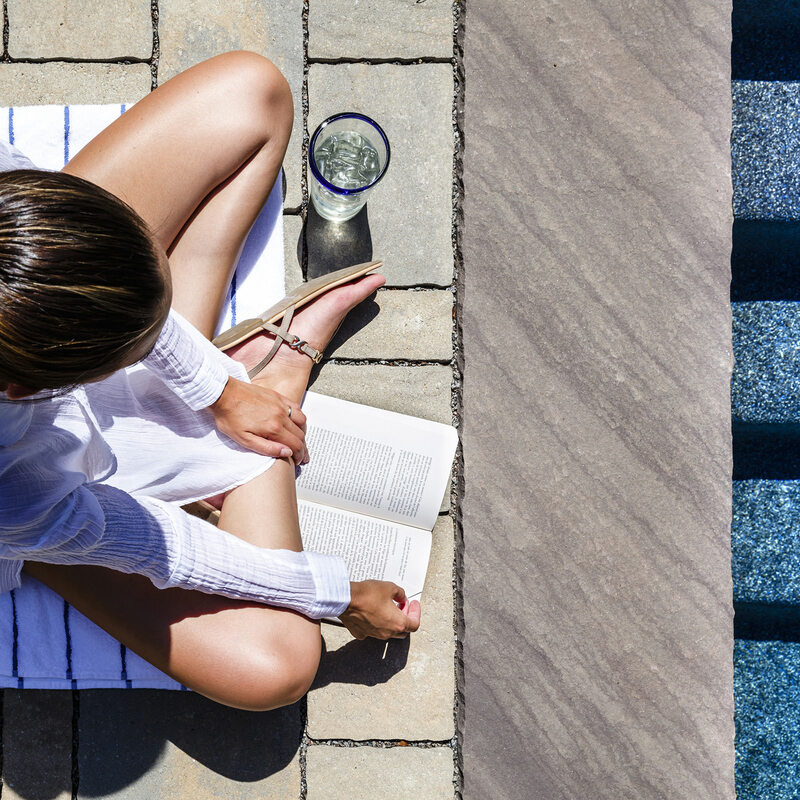 If this sounds like an appealing outdoor feature that you would love to incorporate into your backyard, let’s first discuss which option best suits you and your needs. This is pretty self-explanatory, a wood burning fireplace burns wood! A wood burning fireplace requires firebrick to withstand the heat from the flames, a functioning chimney to direct the smoke upwards as well as several other internal components to insure safety and code compliance. Once your fireplace is properly built, there is not much that can compare to the sensory overload that happens when sitting next to a wood burning fireplace. The smell of the burning wood and the crackling sound you hear while watching the smoke dance away from the flames makes a wood burning fireplace worth the effort. What effort? The effort it takes to maintain the wood piles, to manually construct and start the fire and the responsibility to make sure the fire is out when it is time to pack it in for the night. If the smells, sights and sounds aren’t worth the energy to you, you could always consider another fuel source. A gas burning fireplace is the perfect solution for those who like the idea that with a simple flick of a switch, the fire is lit and ready to go! This type of fireplace is also surrounded by firebrick within the firebox because it is the best material to stand up to the direct heat of the burning gas fire. 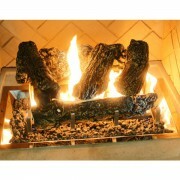 Other than convenience, a gas burning fireplace has some other advantages over a wood fuel source. The gas is fed underneath a set of faux wooden logs, which gives the visual effect of a real wood burning fire, but without producing embers or ashes. While you have a “cleaner” feeling fire, note that a gas burning fire doesn’t get as hot and you will also miss out on that rustic charm of the wood burning fireplace. Always keep in mind that safely connecting the fireplace to an existing gas line is best left to the professionals. Gas burning inserts are pre-manufactured and are ready for easy installation. The delivery of your gas fireplace insert will come complete with all valves, gauges and ventings already in place! Firebricks are not required for this type of fireplace, because the insert is made out of stainless steel that can withstand the heat. The functional stainless steel will also give you a nice, clean and modern look. In this installation, the gas is typically fed through the burner resting in a bed of fire glass, which also lends to its more contemporary aesthetic. If you are looking for the utmost convenient and modern looking outdoor fireplace, this would be your best option. 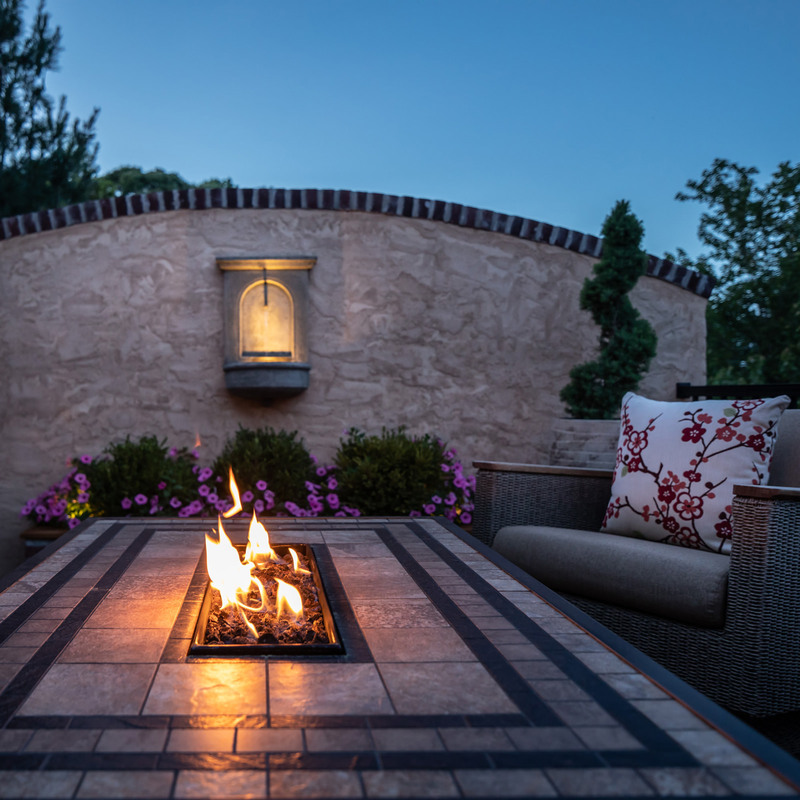 Regardless of the fuel source you choose, you can guarantee that your outdoor fireplace will be a focal point in your backyard. 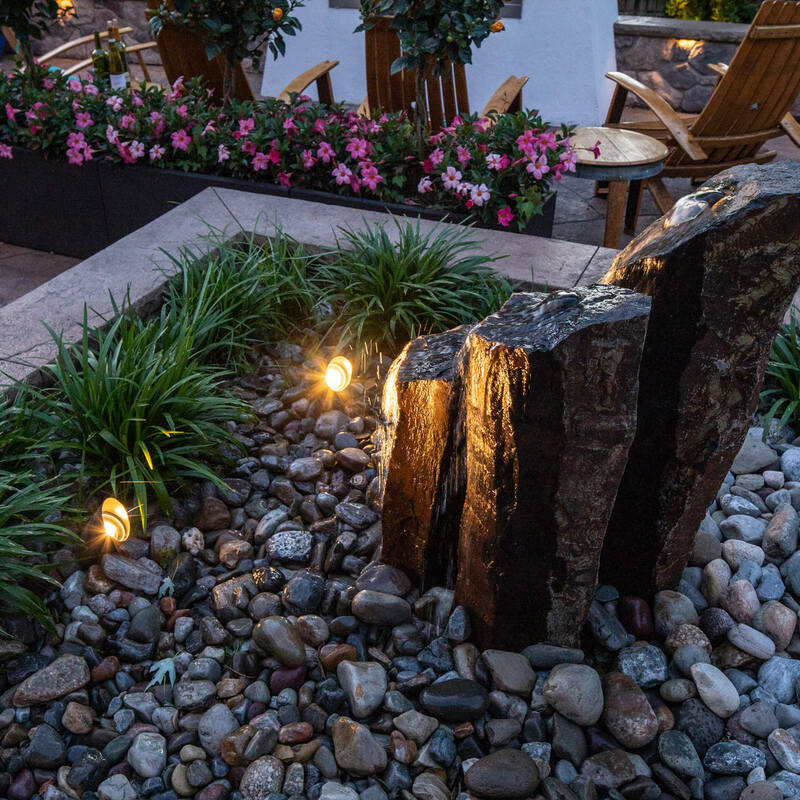 Consulting your landscape designer with your outdoor fireplace ideas is the best route you can take to receive a seamless professional design and be sure that the construction is up to code and is completely safe for you and your family to gather around and enjoy. 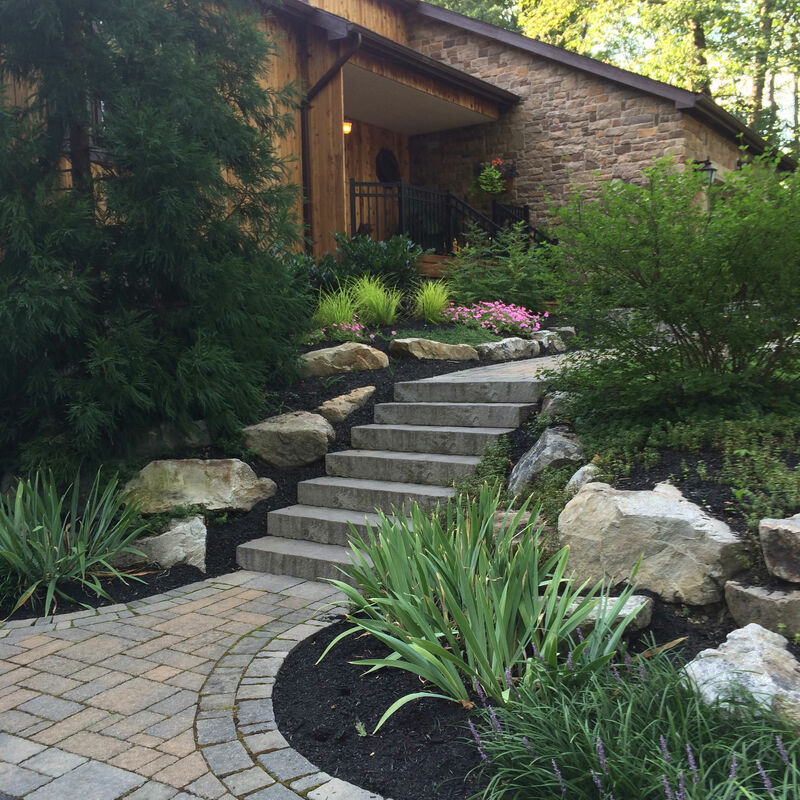 If you live within the Poconos, the Lehigh Valley or down through the Philadelphia area, MasterPLAN Landscape Design is ready to assist you in creating your dream backyard! 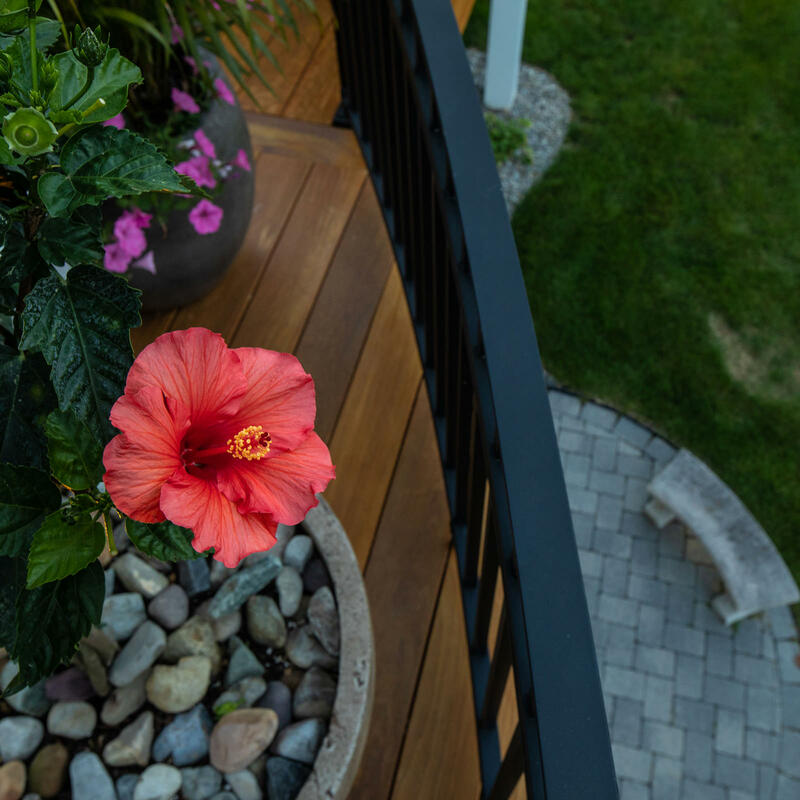 Our passion for outdoor design is evident from the first meeting and continues all the way though the build process. 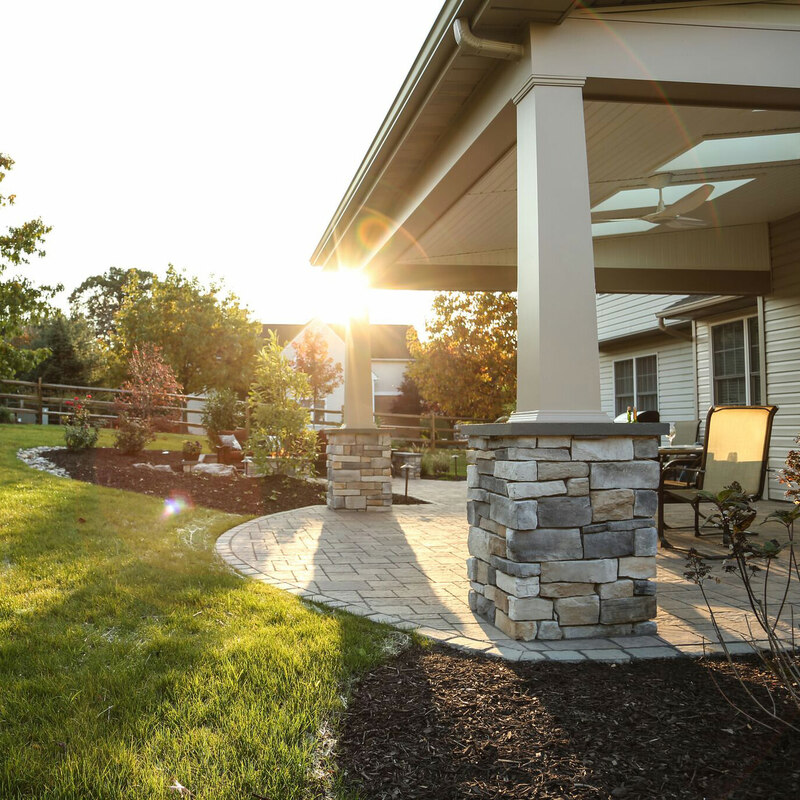 Our main focus is to create an outdoor living space that gives you the feeling of comfort and love. 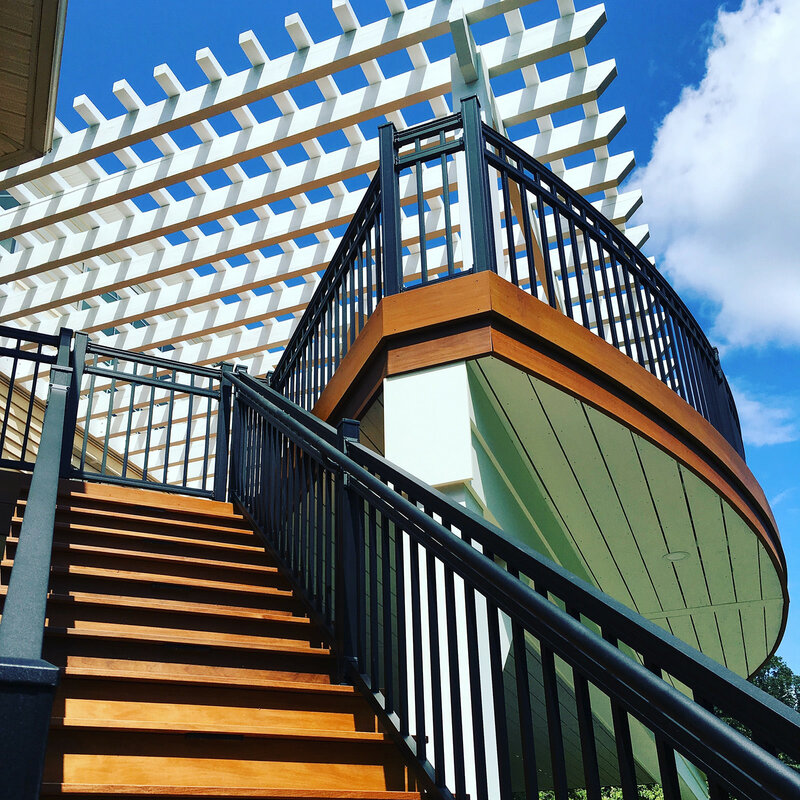 So if you are looking for a design/build team that is passionate, professional and caring, reach out to us to become a part of the MasterPLAN family!